The Portland Mercado is under construction at SE 72nd and Foster. 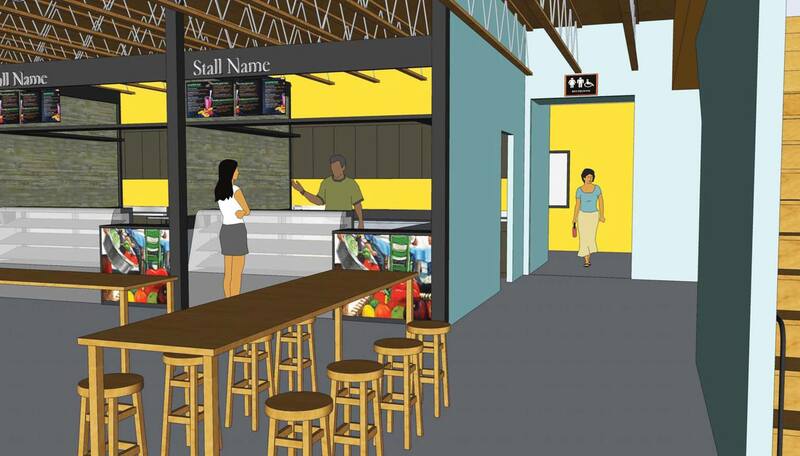 The project, by Hacienda CDC, will create a Latino themed food market, with approximately 20 vendors. An existing building will be converted into a market hall, with an associated commissary kitchen. A taproom will sell beers and wines from across Latin America. 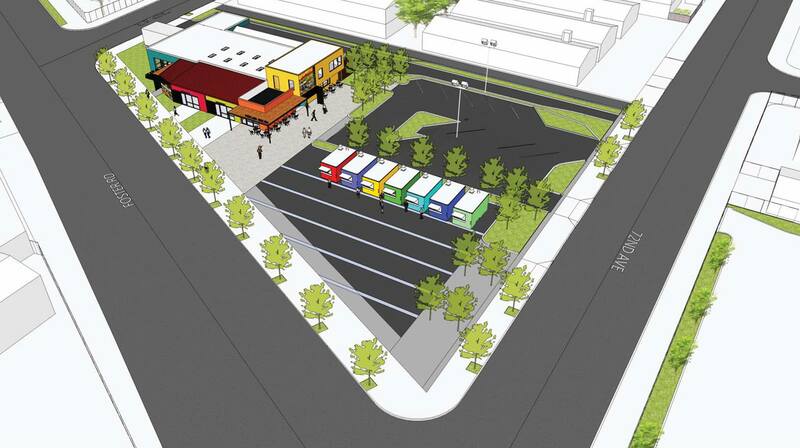 Outside, there is space for up to 8 food carts. The intent of the project is that it will also intended to function as a hub for Latino culture in Portland. According to a profile of the project in Portland Monthly, the inspiration for the project comes from Minneapolis’ Mercado Central. 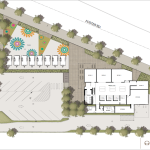 The design of the Portland Mercado is by Scott Edwards Architecture. A building permit for the project was issued in August 2014. It is scheduled to open in Spring 2015. The site, seen here in 2011, has long been an eyesore. The existing building was built as a bank, and was most recently a used car dealership. 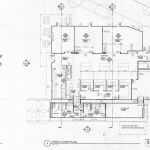 This entry was posted in Hacienda CDC, Mt Scott-Arleta, Portland Mercado, Scott Edwards Architecture. Bookmark the permalink.